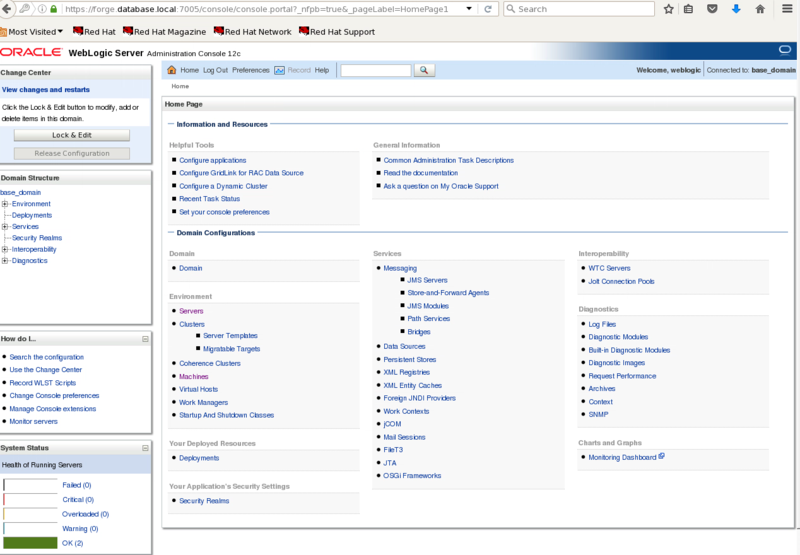 A web listener is needed in order to run Oracle APEX. 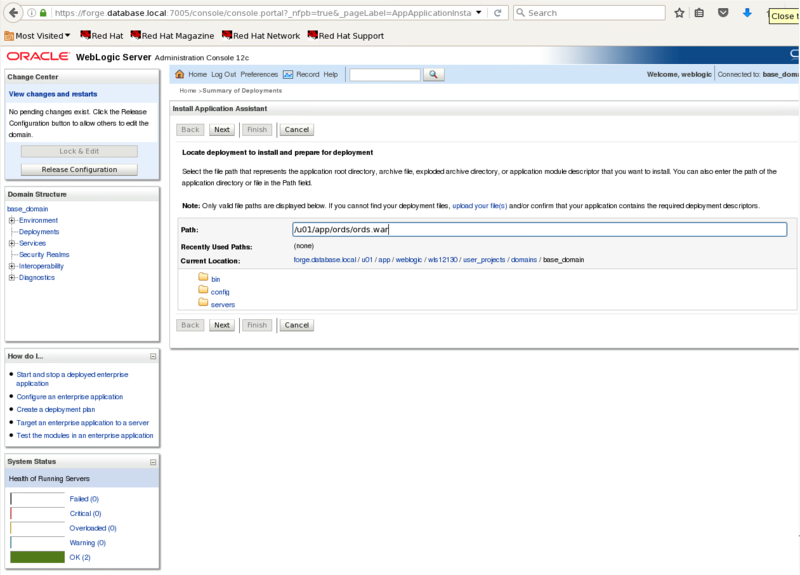 Oracle Rest Data Services (ORDS), formerly called the APEX listener, is a great option for the web listener. 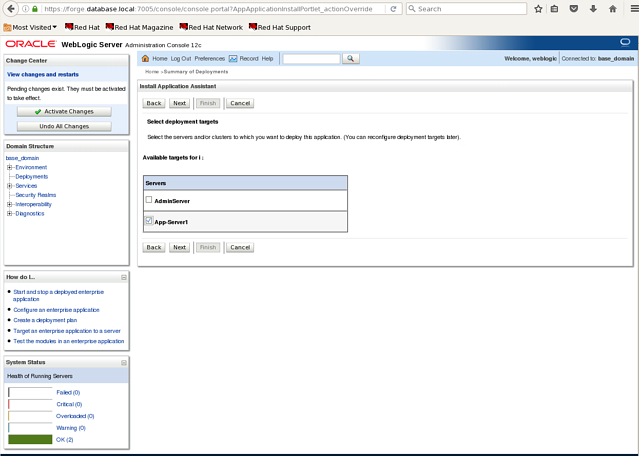 This article details the configuration and deployment of ORDS on Oracle WebLogic Server. 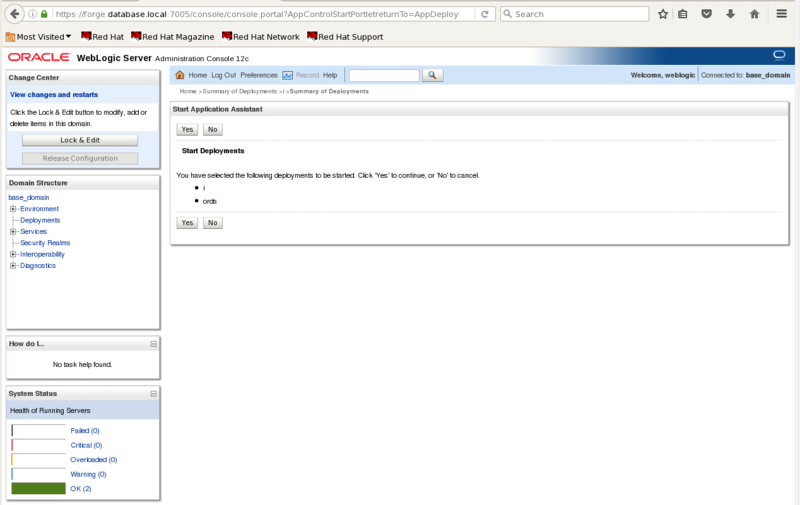 This article assumes that WebLogic has been successfully installed. 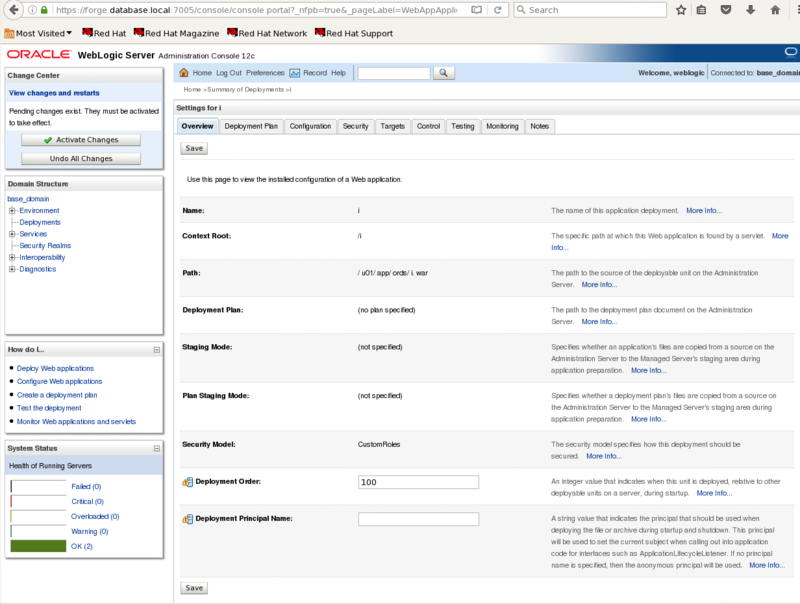 See our previous posts for steps in configuring WebLogic. 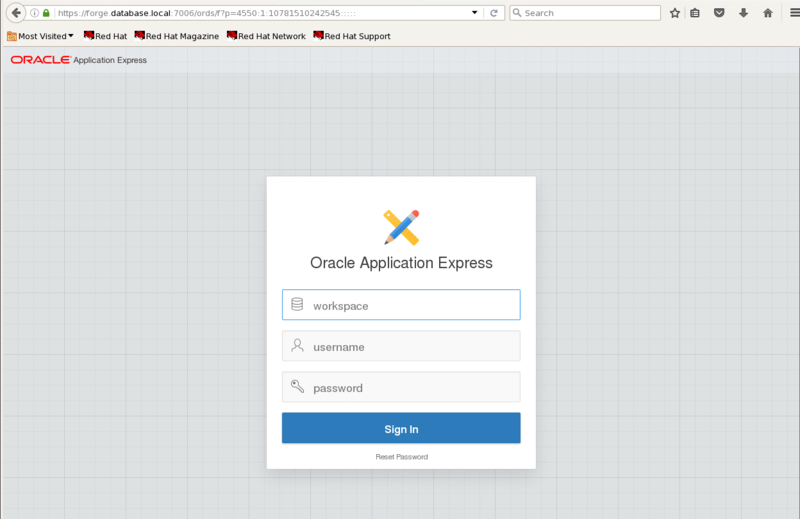 Download and unzip Oracle ORDS. This will create a file named ords.war. The following information will be entered. The database password for ORDS_PUBLIC_USER. This user was created during the APEX installation on the database. See our previous post on installing APEX. The password for APEX_PUBLIC_USER. This user was created during the APEX installation on the database. Enter “1” to specify the passwords for APEX_LISTENER and APEX_REST_PUBLIC_USER. These users were also created during APEX installation on the database. 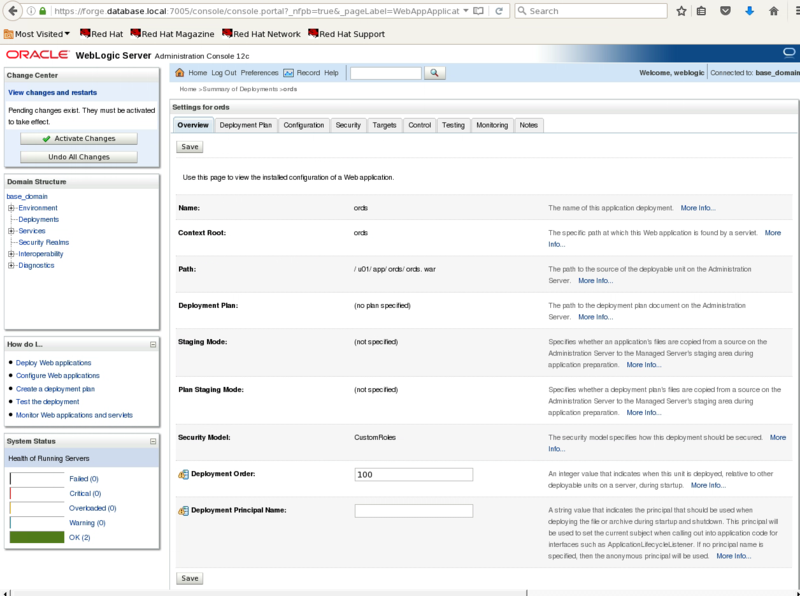 Copy the images from the APEX installation to a location on the server hosting WebLogic. Run the following command from the same directory as the previous command. This will create a file named i.war which will be deployed on WebLogic. The i.war file will contain references to the location of the APEX images from above. 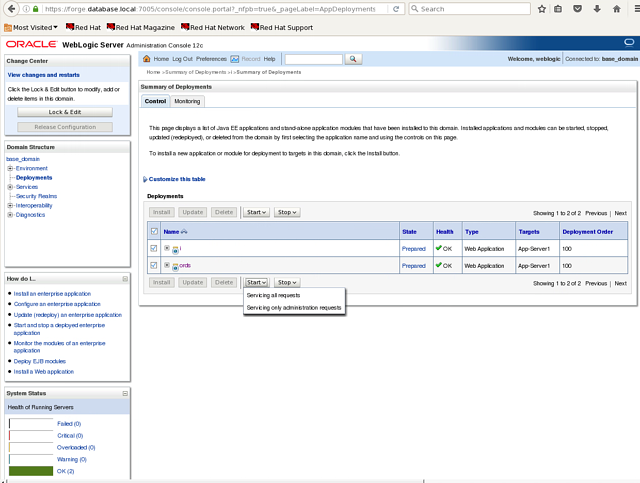 Enter a change session by selecting “Lock & Edit” from the left side. Select Deployments from the left hand side. 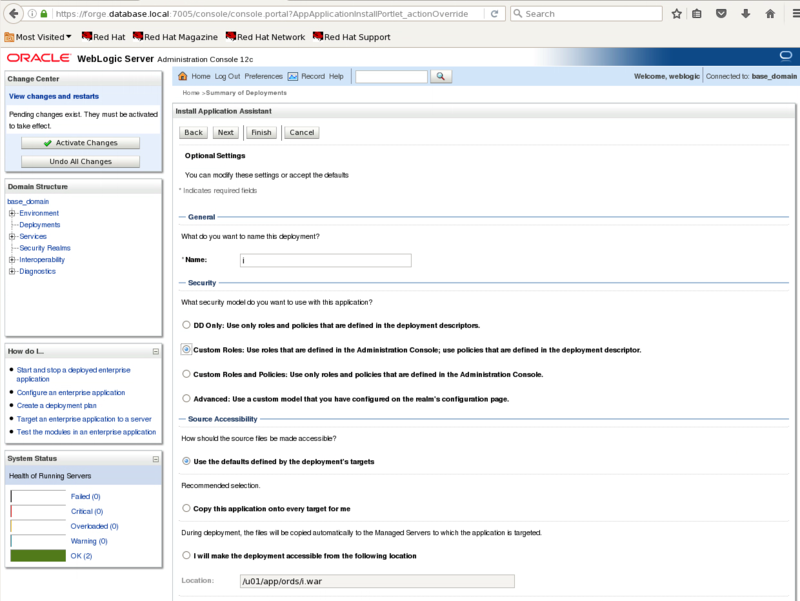 The Summary of Deployments screen displays. 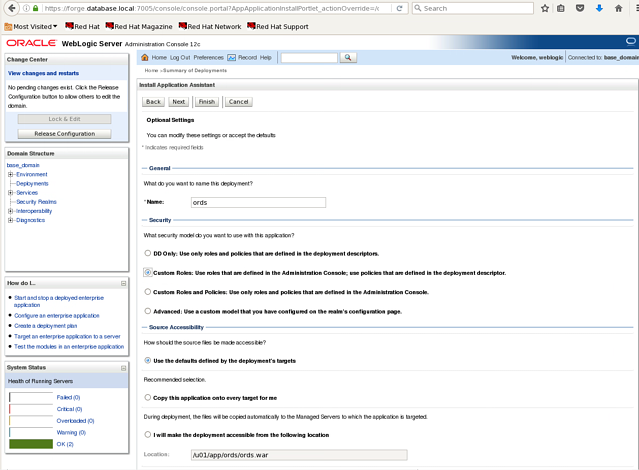 The Install Application Assistant screen displays. Enter the location of the ords.war file. 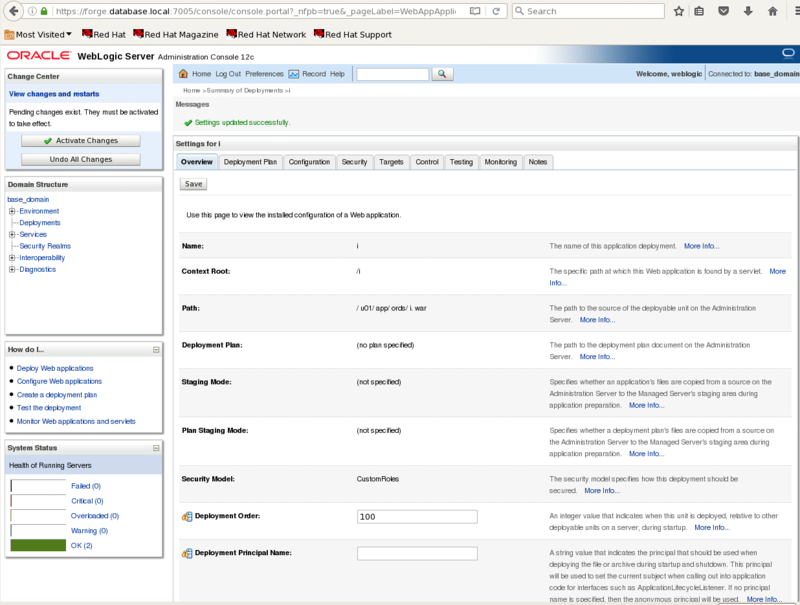 The Install Application Assistant – Choose targeting style screen displays. Select “Install this deployment as an application”. 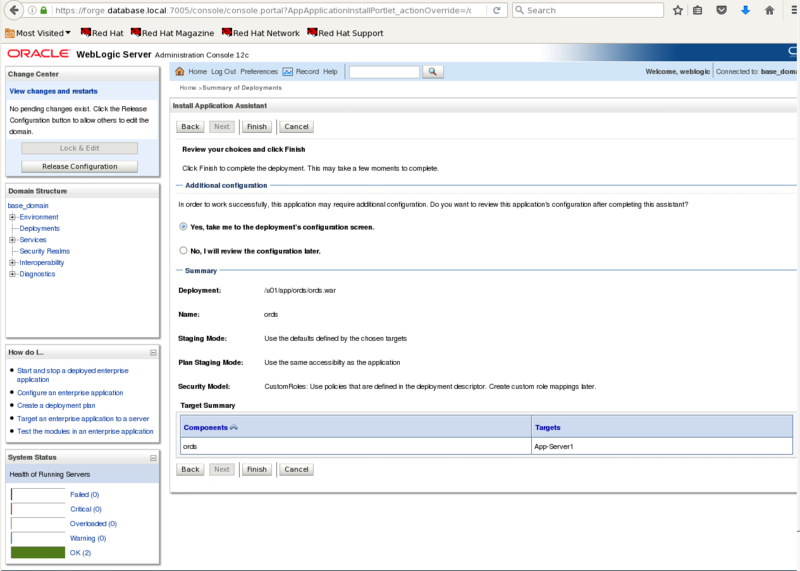 The Install Application Assistant – Select deployment targets screen displays. 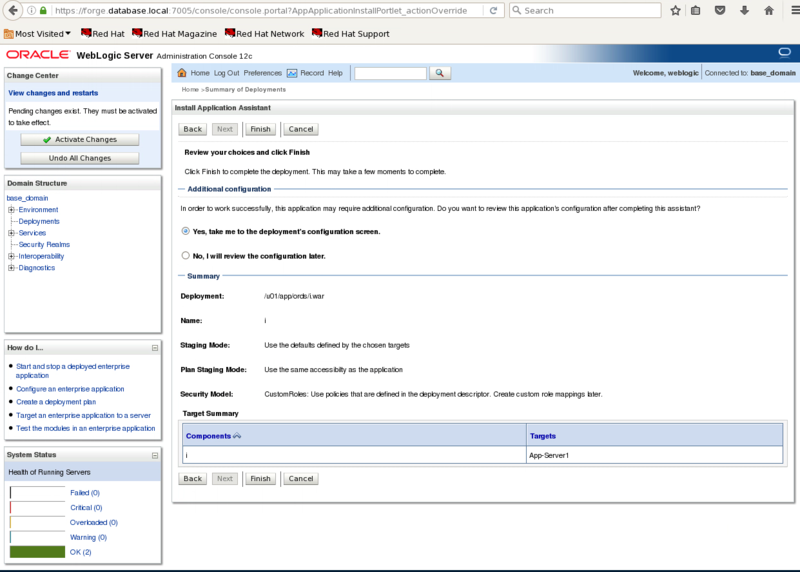 Select the managed server on which ORDS will be deployed (non-Admin Server). 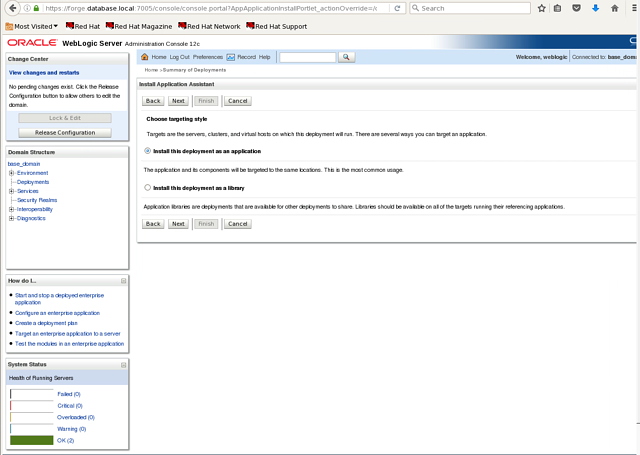 The Install Application Assistant – Optional settings screen displays. 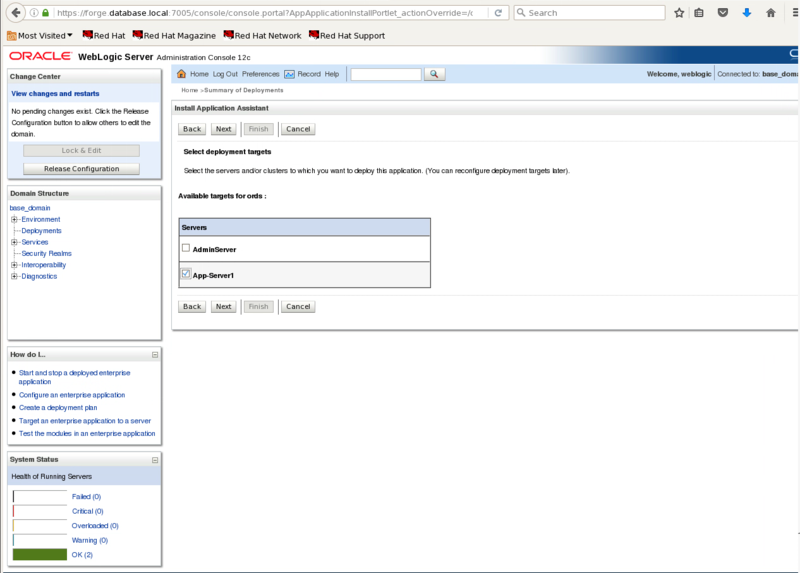 Security: Custom Roles: Use roles that are defined in the Administration Console; use policies that are defined in the deployment descriptor. 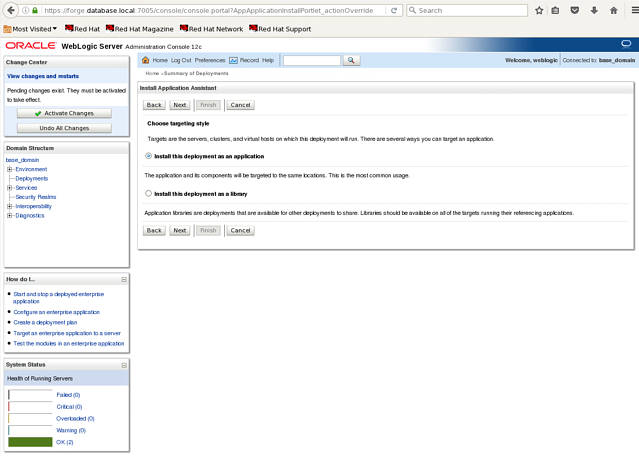 The Install Application Assistant – Review your choices screen displays. 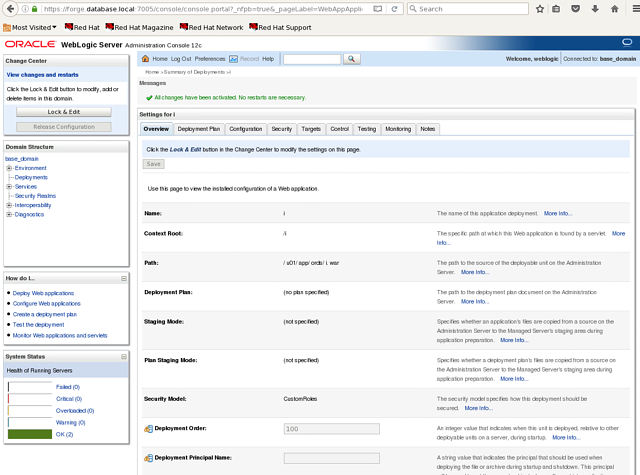 Additional Configurations: Yes, take me to the deployment's configuration screen. The Settings for ORDS screen displays. The screen indicates that the settings have been saved. Deploy i.war using the same steps used to deploy ords.war. 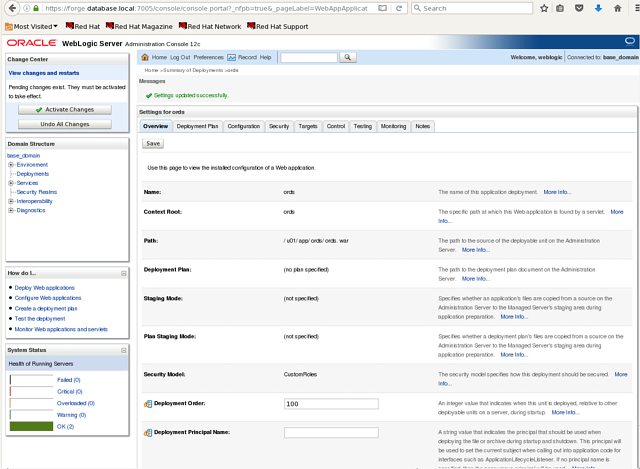 First go back to the Summary of Deployments screen by clicking Deployments. Enter the location of the i.war file – or select i.war. 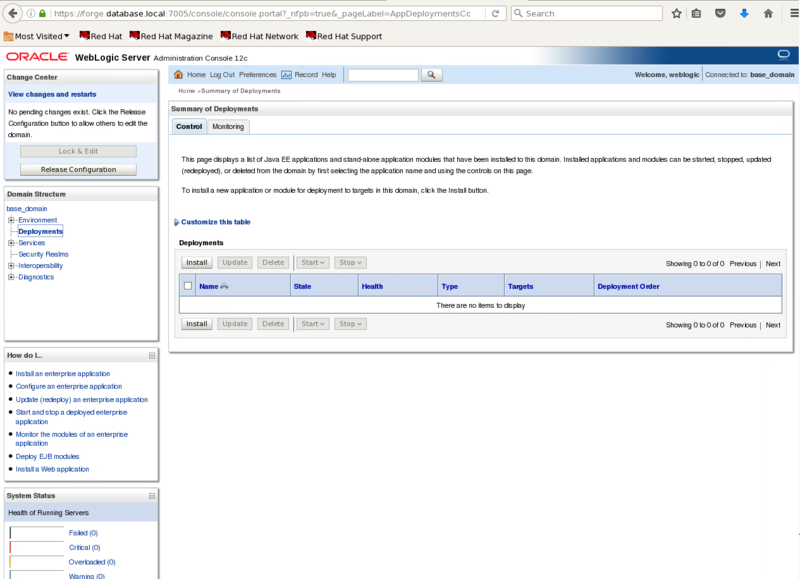 Select the managed server on which ORDS including i.war will be deployed (non-Admin Server). The Settings for i screen displays. The screen indicates that the changes have been activated. Now, start the ORDS and I applications that were deployed. 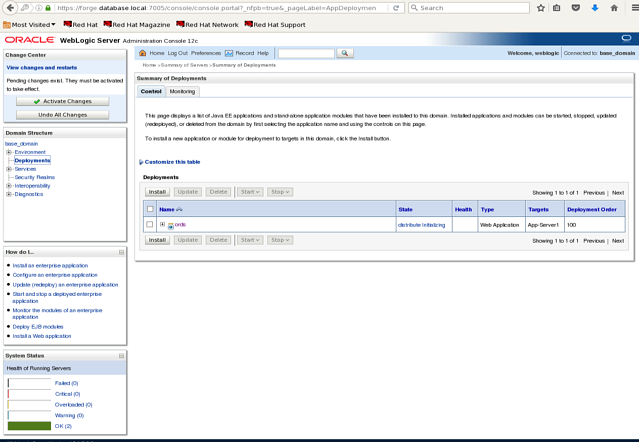 Select Deployments and then select the Control tab. Select the check box next to i and ords. Select Start and Servicing all requests. 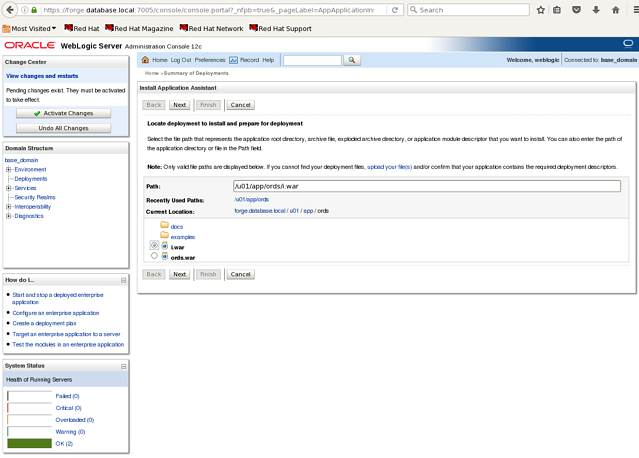 The Start Application Assistant – Start Deployments screen displays. Both ords.war and i.war are now deployed with a State of “Active”. 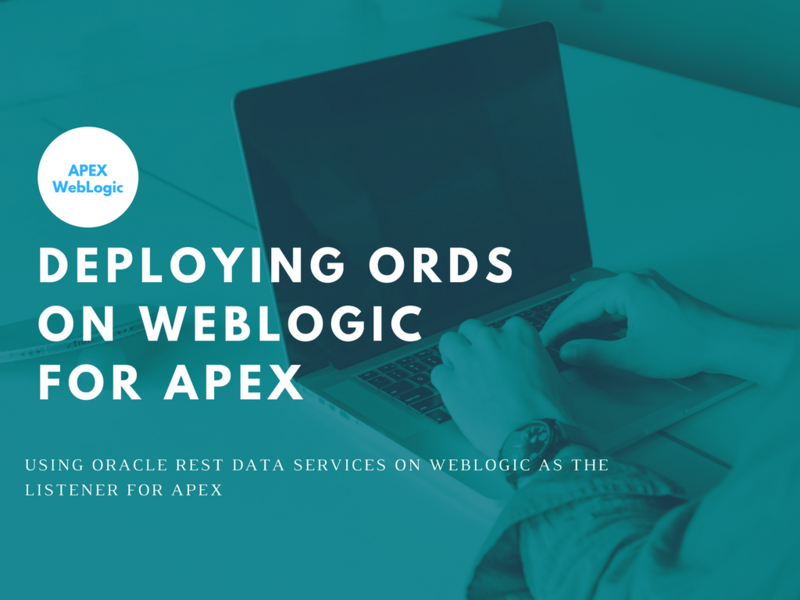 ORDS is now configured to work with APEX. 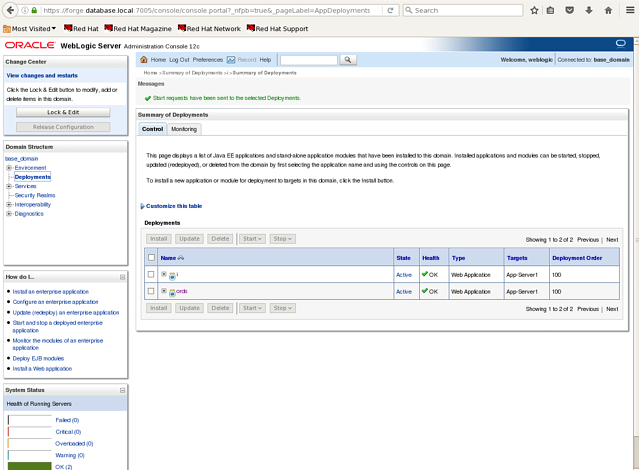 Access APEX with the port to the managed server on which ords.war and i.war were installed and use ords as the context path.